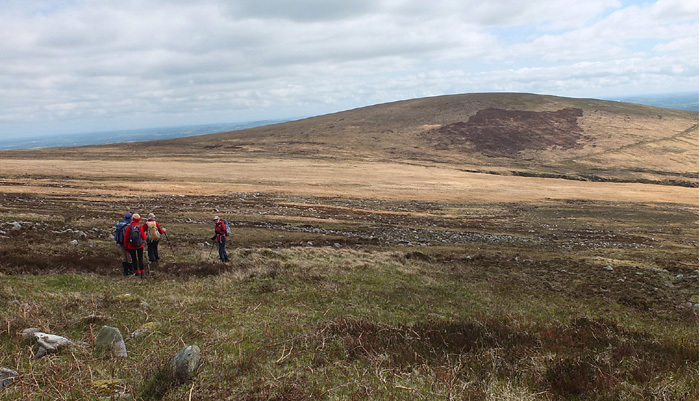 This is a shoulder of Blackstairs Mountain lying completely in Co. Wexford. Note that there is another hill of this name NW of Mount Leinster, though it is spelt Slievebawn in English. Slievebaun is the 752nd highest place in Ireland. Picture from group : Approaching Slievebaun from the W.
Picture: Approaching Slievebaun from the W.